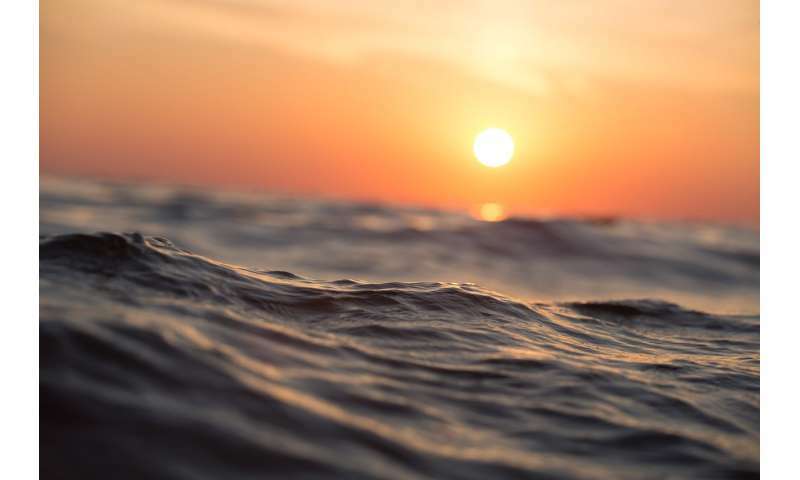 Interest in wave energy has been growing in recent years, and electric generators specially designed to generate electricity from this renewable energy source are being developed. The UPV/EHU's Advanced Control Group (GCA) has come up with a robust control system for these generators which, during the tests conducted, has been shown to substantially improve their efficiency. The Advanced Control group of the Faculty of Engineering—Vitoria-Gasteiz (EIVG) and the UPV/EHU's EIG-Faculty of Engineering—Gipuzkoa (Eibar section), which specialises in the control of electric machines, has come up with a robust control system for one of the most popular wave energy converters, the oscillating water column (OWC), together with a doubly-fed induction generator. "Electrical generators of this type are suited to working at variable speeds, and at the same time, what the control system we have proposed achieves is to improve the efficiency of these generators by controlling the rotational speed of the turbine, given that this speed affects the efficiency of the process to extract kinetic energy from the waves," explained Oscar Barambones, one of the researchers who participated in this study, which was recently published by the journal Ocean Energy. Doubly-fed induction generators (DFIGs) are regarded as highly suitable for generating energy that comes from wave energy because they are specially designed to work under changing, unpredictable conditions. "The airflow generated by the waves that they are going to have to work with will never be known, but in these converters, the electricity generator has the capacity to control the working speed so that the system can work at its optimum speed, irrespective of the speed of the airflow received by the turbine," said the researcher. In the study, they wanted to see whether the performance of the converter could be improved by adding to it a sliding mode control system, which is characterised by displaying correct behaviour even in changing dynamics, variable parameters and external disturbances. "What we did was to see what the effect would be if this control system were to be incorporated, firstly by means of various simulations, and secondly in some experimental tests carried out on an experimental platform that the research group designed and built at the EIG (Eibar). This experimental platform is based on an actual commercial doubly-fed generator; we connected the generator to a motor, and that motor simulated the mechanical energy profile provided by the airflow that would be produced by the waves in a wave energy generation plant." As Barambones explained, the tests conducted showed that the efficiency of the wave energy converters "was greatly improved: the control system maximises the extraction of energy from the waves, because what it does is to regulate the speed of the turbine so that the system operates with maximum efficiency. The performance of these systems is optimized when the generator is made to follow a reference which depends on the speed of the airflow so that the turbine can operate at the maximum point of efficiency." And given that they were carried out using a commercial converter, "the control system could be applied right away." But the researcher is aware that difficulties could emerge when this control system is applied under real conditions. The main problem he believes could emerge has to do "with the inertia of the turbines. We have not worked with very large inertia, but one can assume that an actual turbine would have a considerably bigger mass and therefore, a higher inertia. And we have seen that the greater the inertia is, the more difficult it would be for the system to follow the optimum reference with increased precision, although in any case an improvement in the efficiency of the system will be achieved by controlling the speed of the turbine. We will continue to conduct studies in this respect," he concluded.